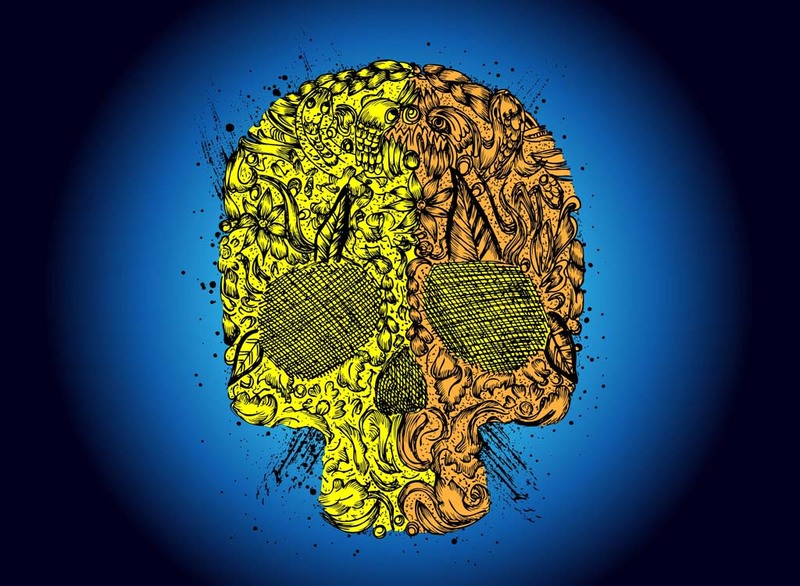 Cool hand drawn skull vector footage on dark radiant circle backdrop. The skull is shaped with leaves, scrolls, lines, flowers, bird and snake drawings. Download this unique skull vector design for your horror, terror, hard rock, heavy metal, Halloween or scary movies graphics. Tags: Dead, Death, Hand Drawn, Horror, Scary, Skull Vector, Terror.